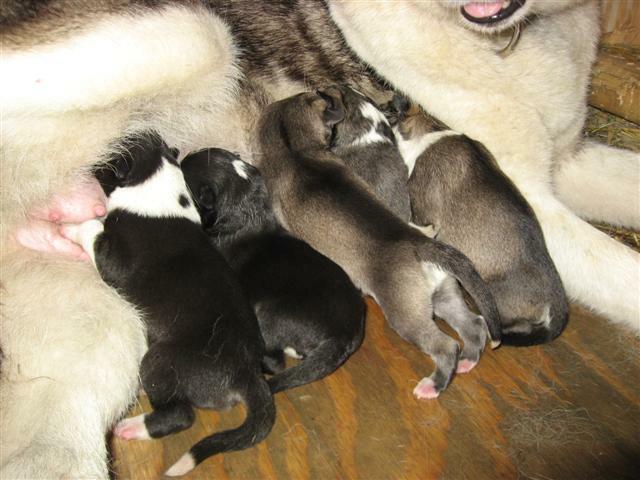 The pups were born on Wednesday July 11, 2007. There are 2 girls (on the left) & 3 boys (on the right). All are healthy & strong. Stripe is doing very well also. Opps...one last addition came in the night!! Final count is 6 - 2 girls, 4 boys. August 14 - love to chew!! Under is just as good as over!! I can sit...only when tired!! No - pick me up!! We even love to run! !